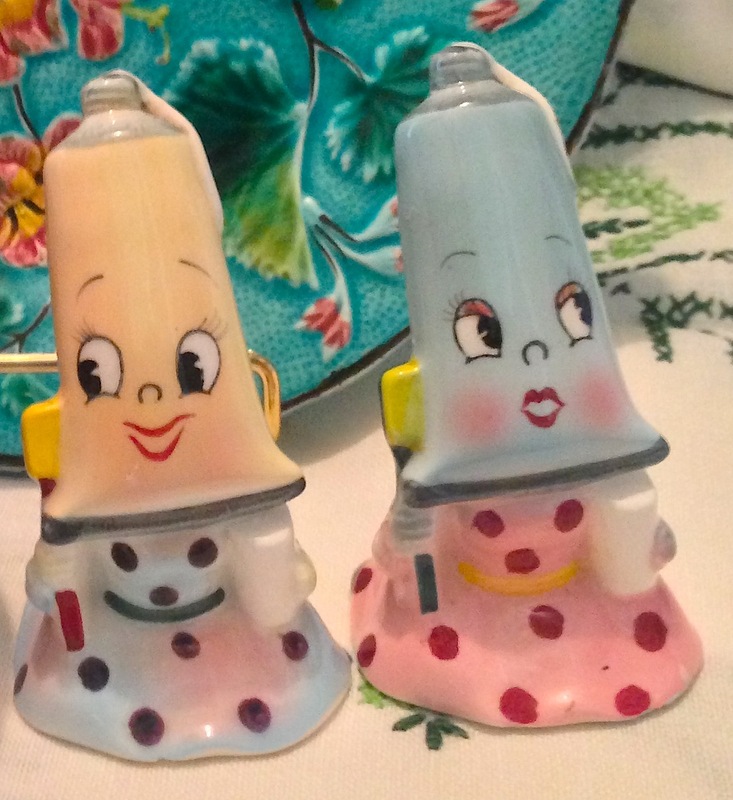 I wanted to share my most recent find!! 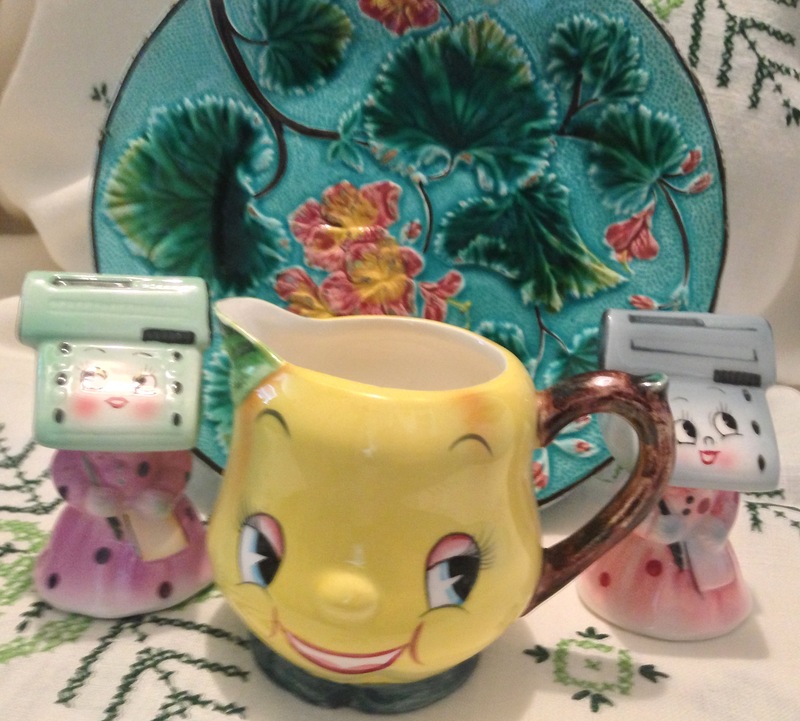 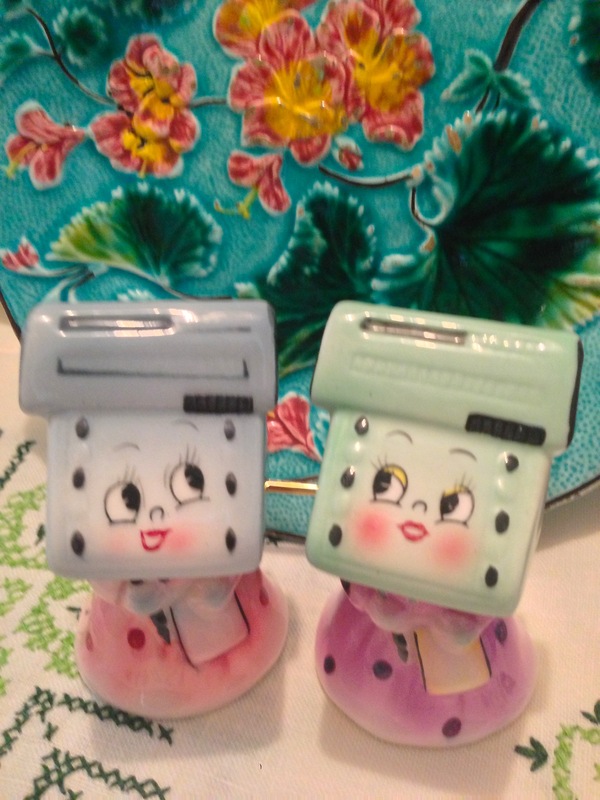 These smiling anthropomorphic cuties just make me so happy and add instant vintage charm. 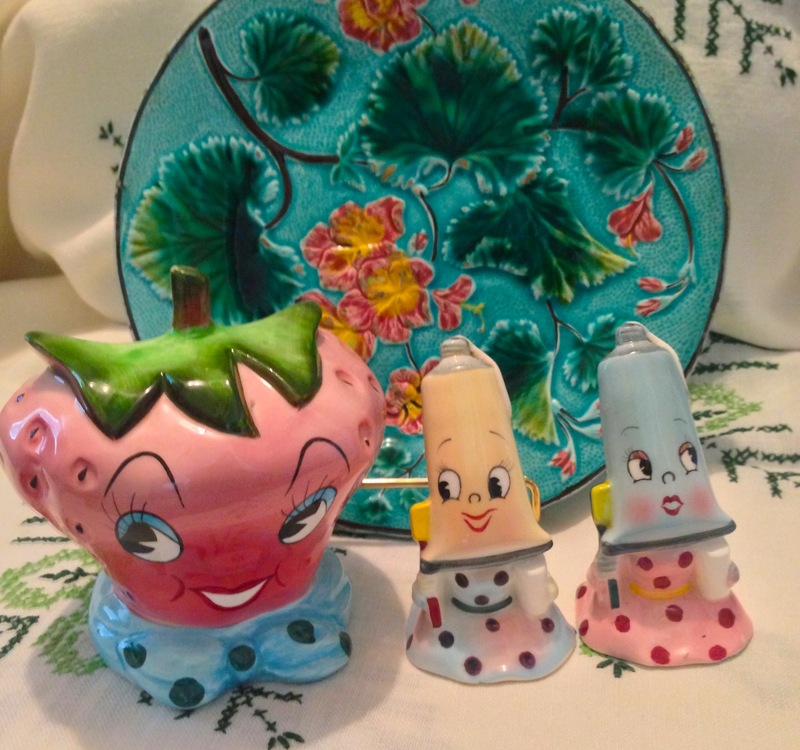 These are all made by PY Japan and feature the anthropomorphic PY strawberry head planter, the PY anthropomorphic pear pitcher and these super adorable shakers that are a pair of PY anthropomorphic toothpaste girls and PY anthropomorphic typewriter girls.